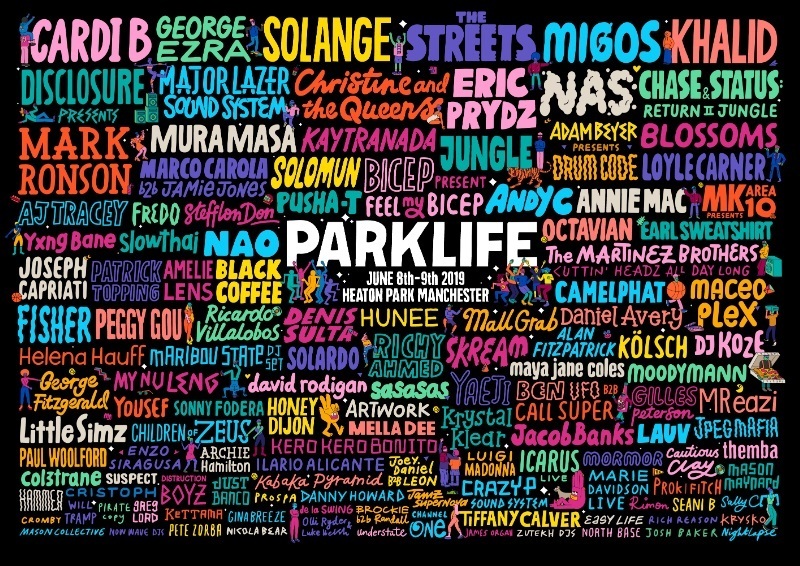 Cardi B, George Ezra, Solange, The Streets, Migos and Khalid will play Parklife Festival 2019. The Manchester event’s 10th edition will be held at Heaton Park on Saturday, June 8th and Sunday, June 9th featuring a mix of hip hop, rap, r&b, pop, indie and electronic music. Major Lazer Soundsystem, Stefflon Don, Disclosure, Mark Ronson, George Ezra, Blossoms. Loyle Carner, Octavian, Slowthai, Yxng Bane, AJ Tracey, Mura Masa, Annie Mac, Eric Prydz, Gilles Peterson and Kaytranada are also on the bill. Back-to-back pairings include Jamie Jones and Marco Carola, Ben UFO and Call Super, Joey Daniel and Leon plus Brockie and Randall. The Martinez Brothers Cuttin Headz will play all day long, Adam Beyer will present Drumcode, MK will host an Area10 and Bicep will bring their Feel My Bicep party. Further acts for 2019 playing across 16 stages are Christine & The Queens, NAS, Jungle, Pusha-T, Earl Sweatshirt, Helena Hauff, Moodymann, DJ Koze, My Nu Leng, Honey Dijon, Artwork, Crazy P Soundsystem, Marie Davidson, Sally C, Krysko, Will Tramp and Greg Lord. General tickets go on sale tomorrow (Friday, February 1st) at 9am. This year, Parklife tickets include access to the Parklife club series events featuring guest appearances from festival acts and a 20 percent discount at ASOS. For details go to parklife.uk.com.